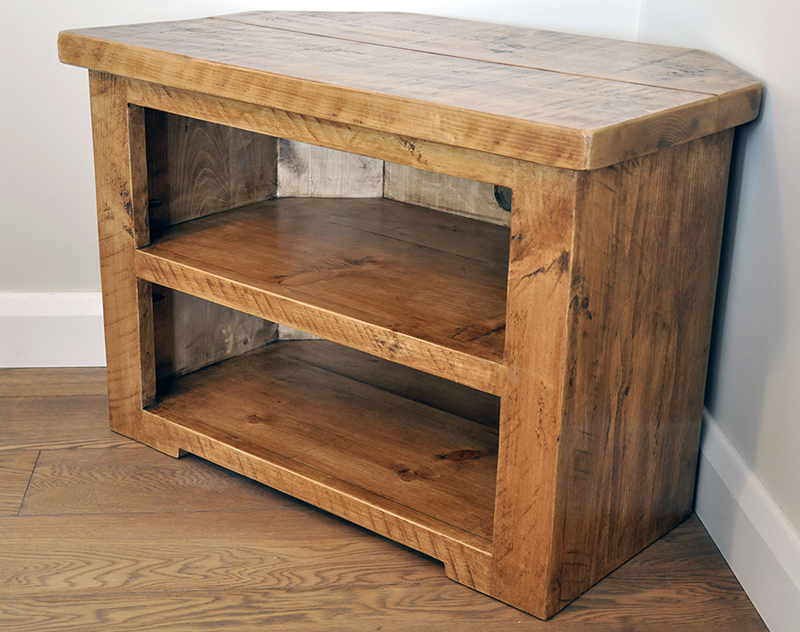 A characterful but simple 2 shelf corner TV stand. 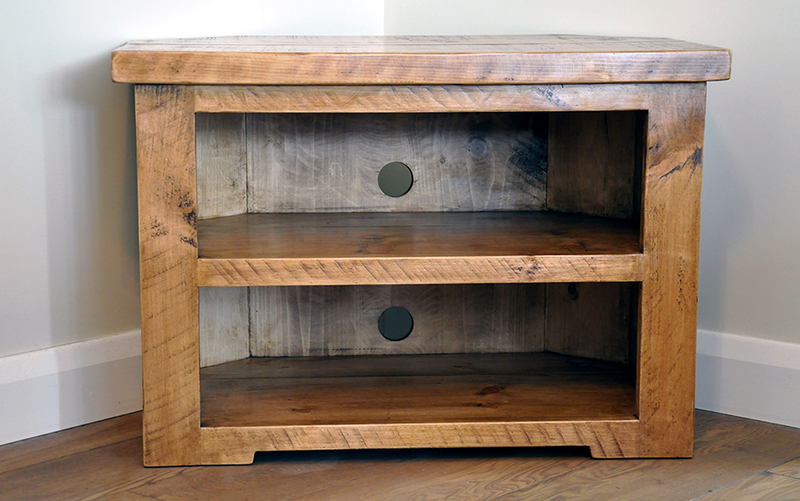 The chunky top is solid wood and the design looks good in any setting even in a modern home. The beautiful wood tones bring a real warmth to the room that only real wood can! Available in 2 different sizes as standard 80cm or 100cm wide. For other sizes please contact us. 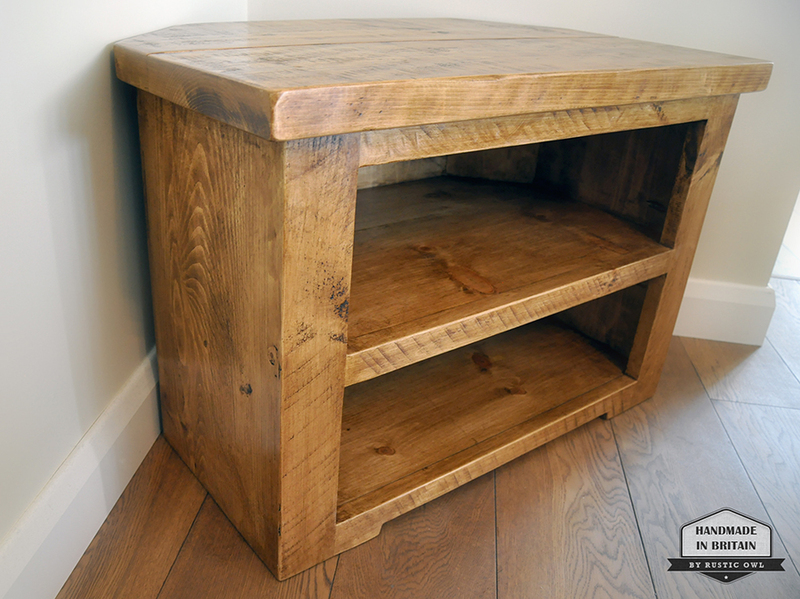 This handmade 2 shelf corner TV stand is produced in our own workshop in Warwickshire, UK. Each one is finished by hand to give each one it’s own unique character. It’s worth noting that this item is made from carefully sourced high quality Quebec pine. 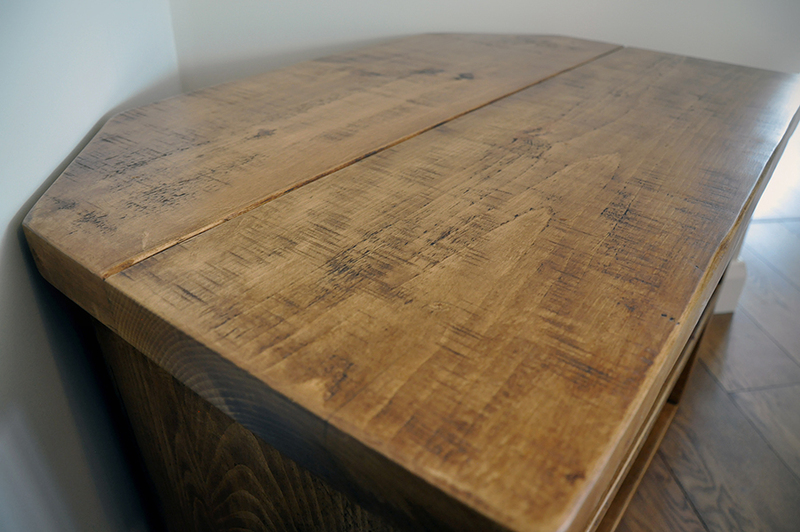 Hand finished with tudor oak Bees wax which really brings out the character and gives a lovely smooth feel with a subtle shine.